Inspiration and technique. Two essential concepts to a satisfactory result. All brides expect that day to be unforgettable! Aconteceu em junho o curso Engenharia de Penteados na Look Cosméticos de BH. O curso foi um sucesso! No início deste mês, Araraquara recebeu Karina França para mais um curso. 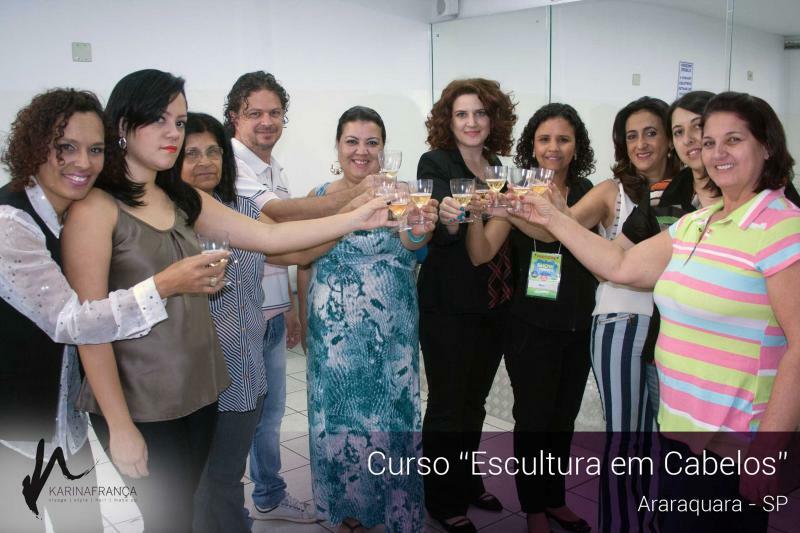 Nos dias 25 e 26 de agosto, Karina ministrou o Curso "Escultura em Cabelos" em Araraquara - SP. No início deste mês, Araraquara recebeu Karina França para mais um curso. Desta vez, os alunos aprenderam como estruturar e moldar penteados complexos no Curso Arquitetura de Penteados. A satisfação dos alunos era visível na finalização dos penteados. Parabéns aos alunos desta turma e que nos encontremos muito em breve em outros cursos! 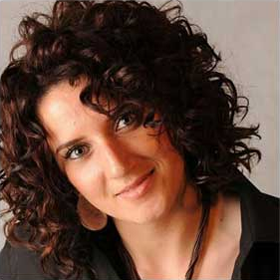 Nos dias 25 e 26 de agosto, Karina ministrou o Curso "Escultura em Cabelos" em Araraquara - SP. Os alunos aproveitaram muito todas as dicas e praticaram toda a teoria ali mesmo. Also called as Spectacle, is a public presentation that amazes and has a sort of entertainment style. 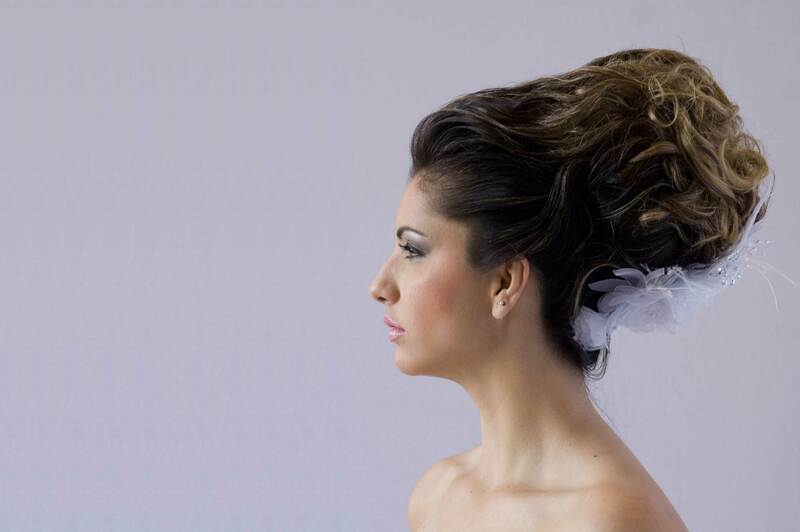 It can be a theatrical, musical, cinematographic, circus or exhibit presentation of artistic work, which will be used to demonstrate hairstyles on stage exhibition and events. Here, the audience is not just a spectator. In certain moments (or in all of them, depending on the work organization and the educational style proposed) the auditorium is asked to experience the theme in discussion. Brief conferences about daily practical matters of customer services, including hairstyle and techniques. 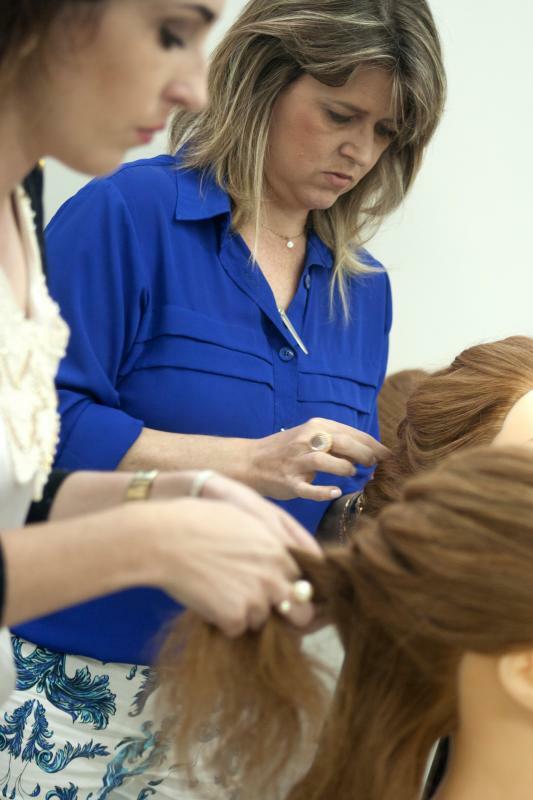 It’s a moment dedicated to develop skills and ability of beauty professionals by providing activities directly guided by the teachers, in which different techniques, equipment and materials are available to learn new hairstyles. Generally it’s about selecting some hairstyles for a few hours class. Personalized services to brides: at home, at the hotel, at church, at the reception. 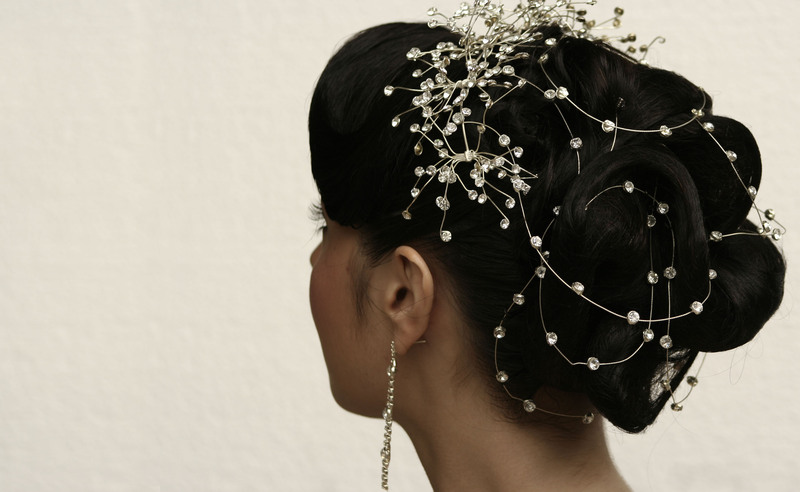 Our staff is specialized into helping brides before and during the wedding, guaranteeing outstanding hair and make up throughout the event. A vocational training in one of the most recommended beauty salons in Brazil, the Maison Payot. In order to join it you must have completed our hairstyle classes. During the internship, the student will experience the daily care of Maison Payot, which include classes with Karina França.